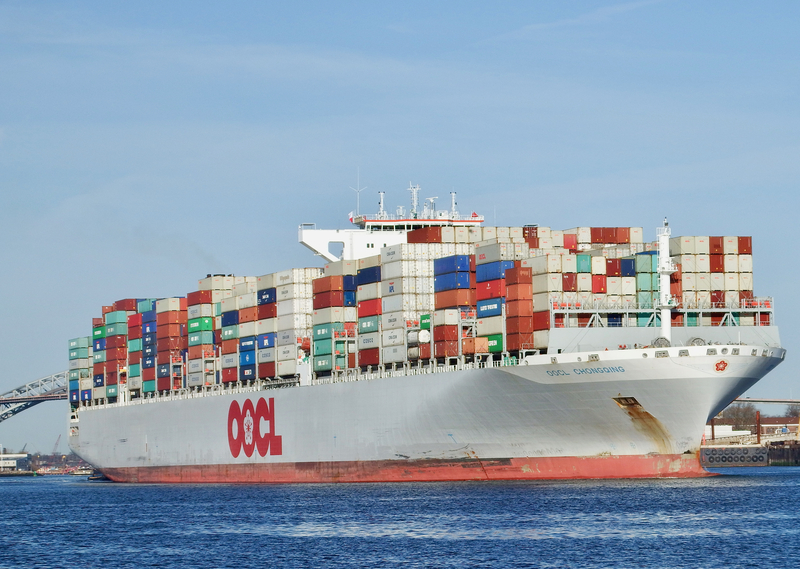 You are currently browsing the tag archive for the ‘OOCL Chongqing’ tag. 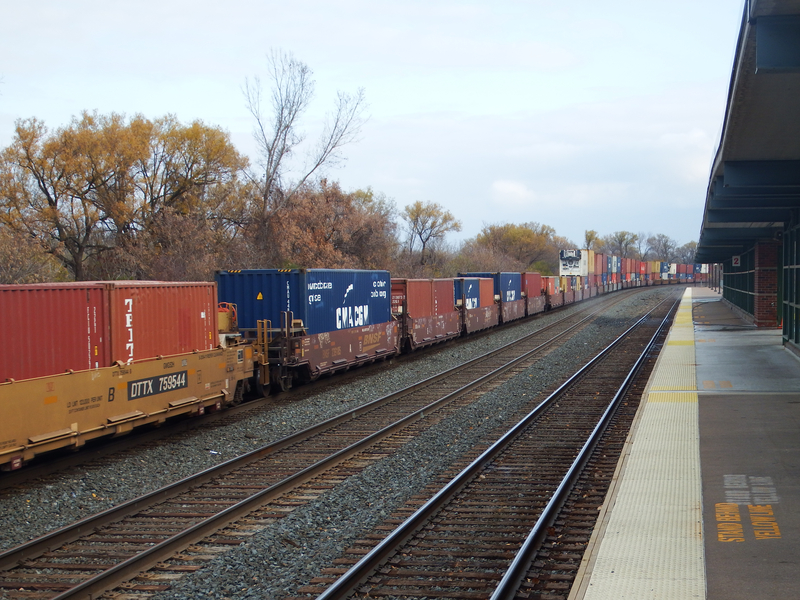 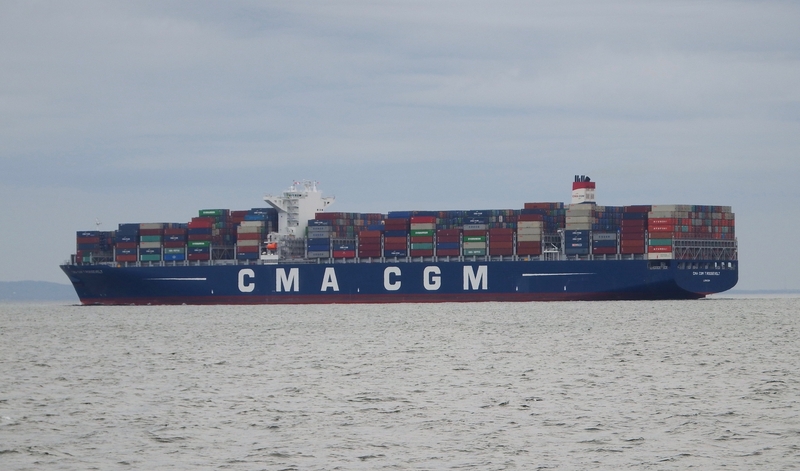 CMA CGM T. Roosevelt is not the only 1200′ ship calling here these days. 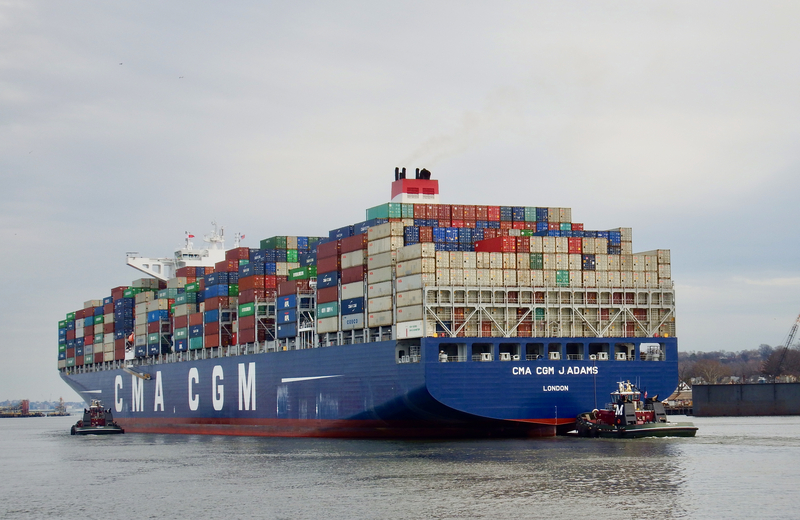 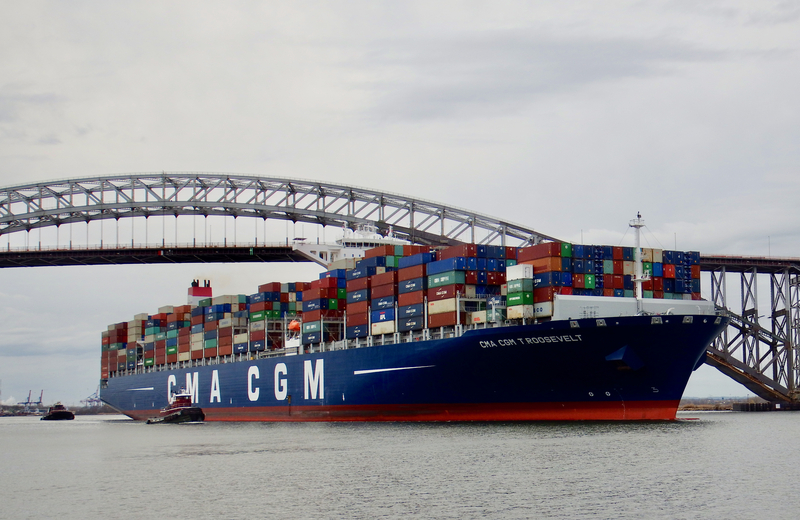 CMA CGM J. Adams has recently visited the harbor, as has NYK Wren, ninth of the NYK “bird” series, which arrived and departed in the hours too dark for photos. 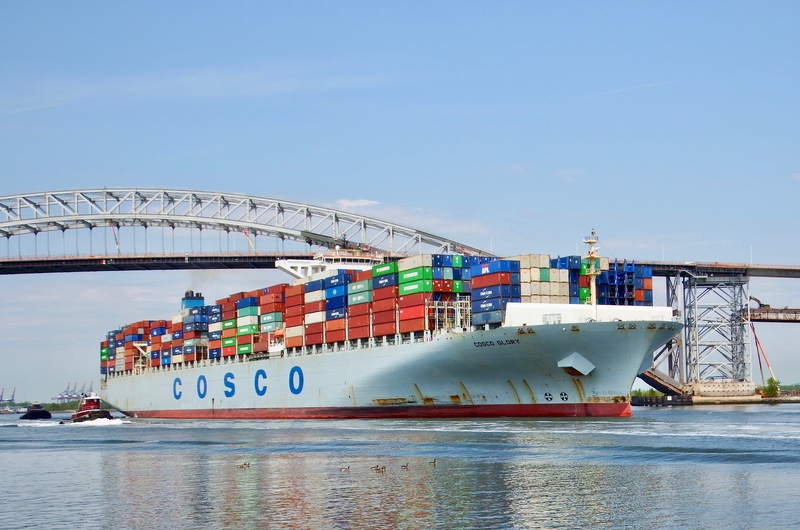 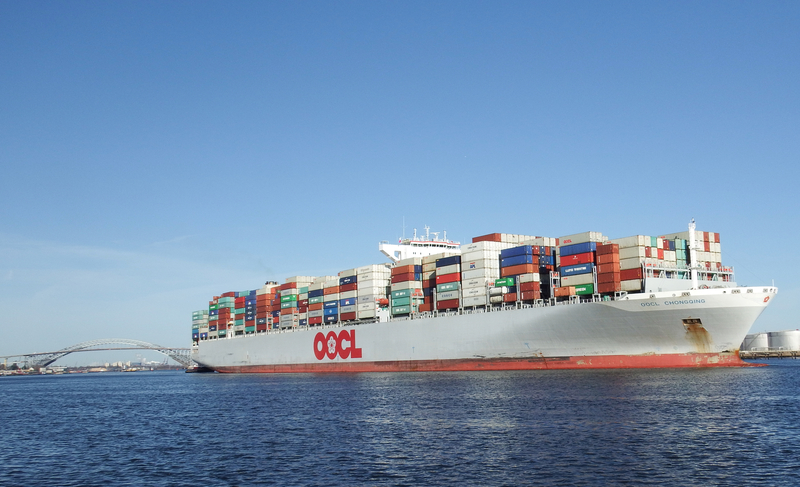 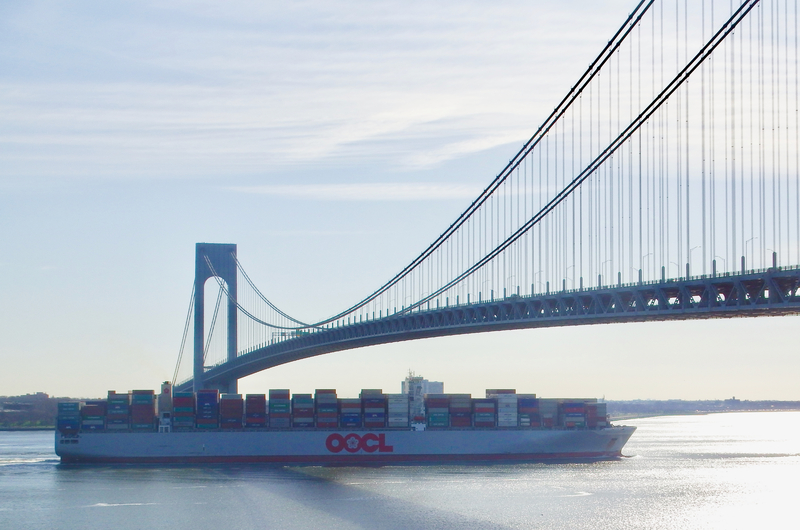 There are several 1200′ OOCL vessels, including recently OOCL Chongqing. 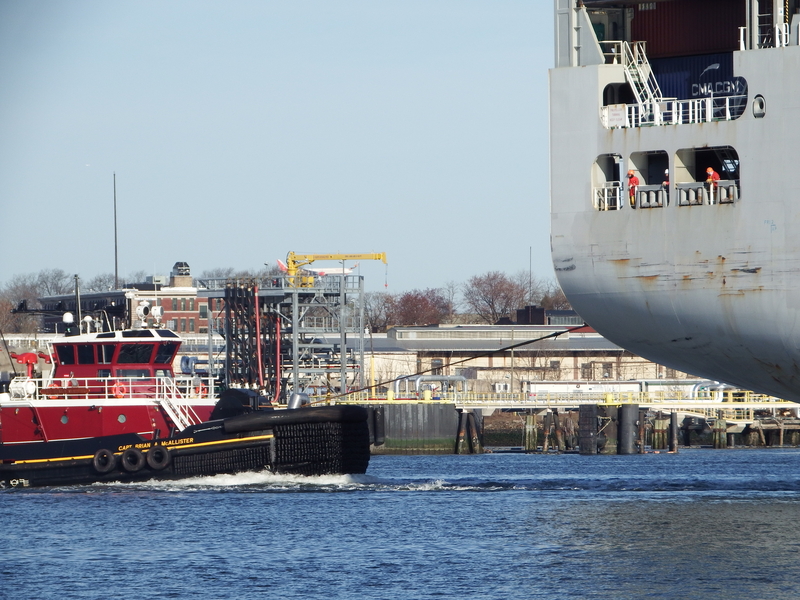 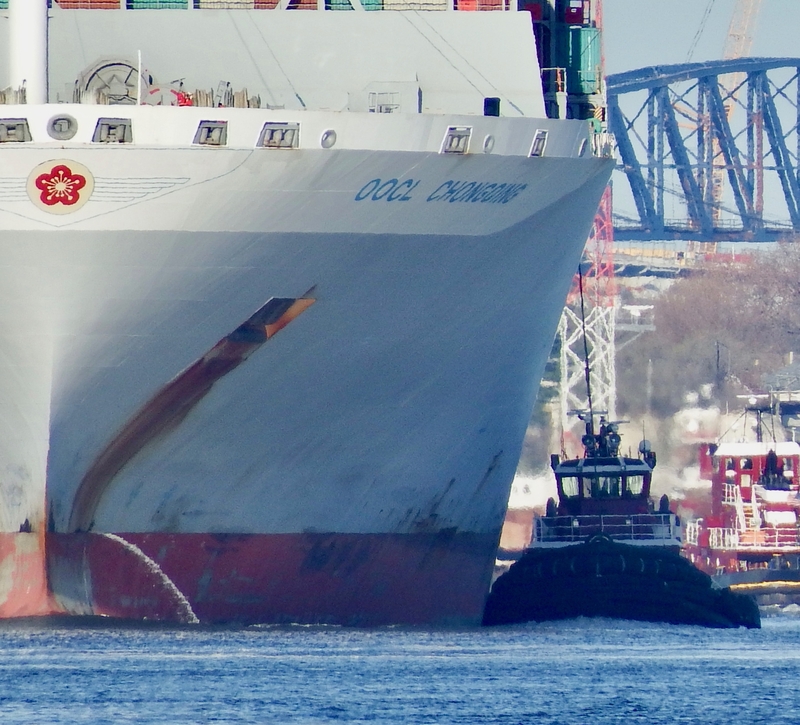 If you need an image to show why assist tugs look triangular from this angle, this might be it. 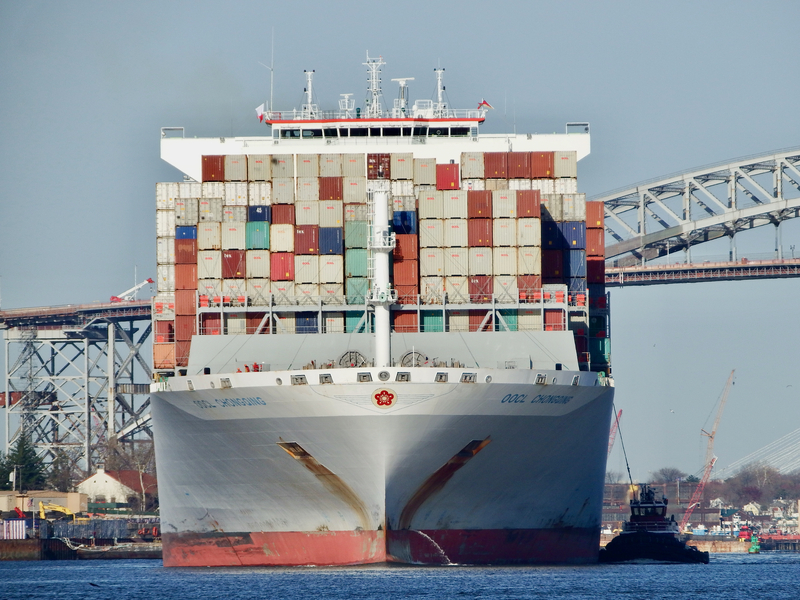 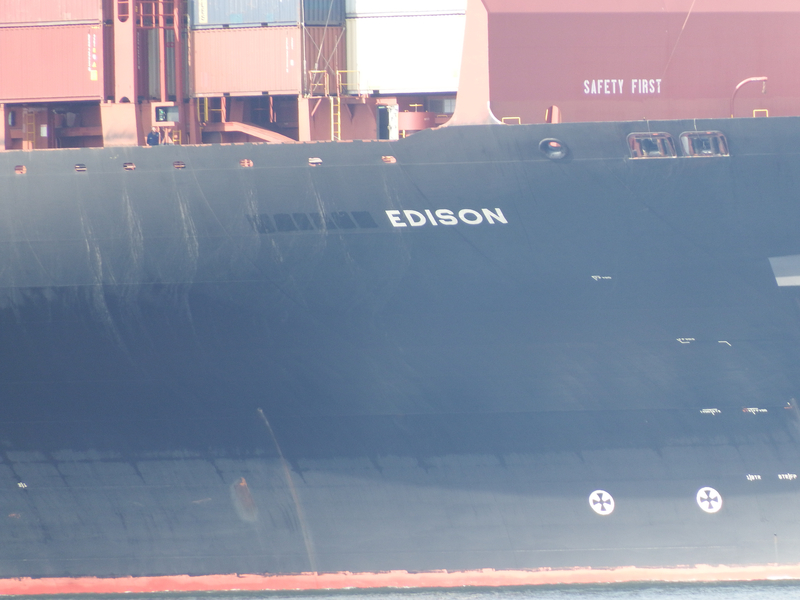 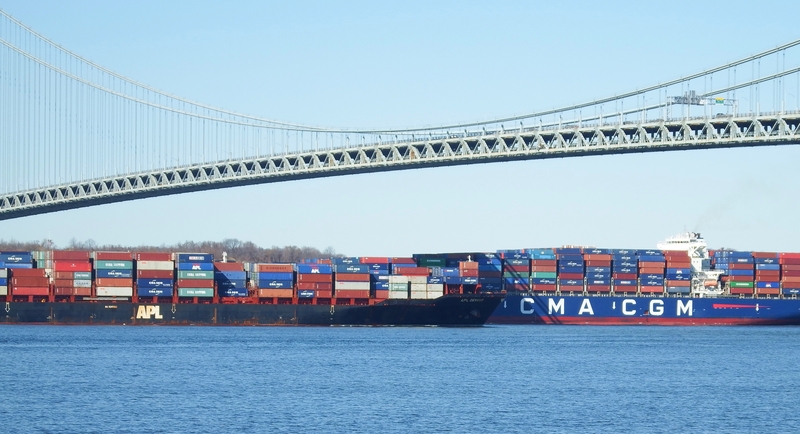 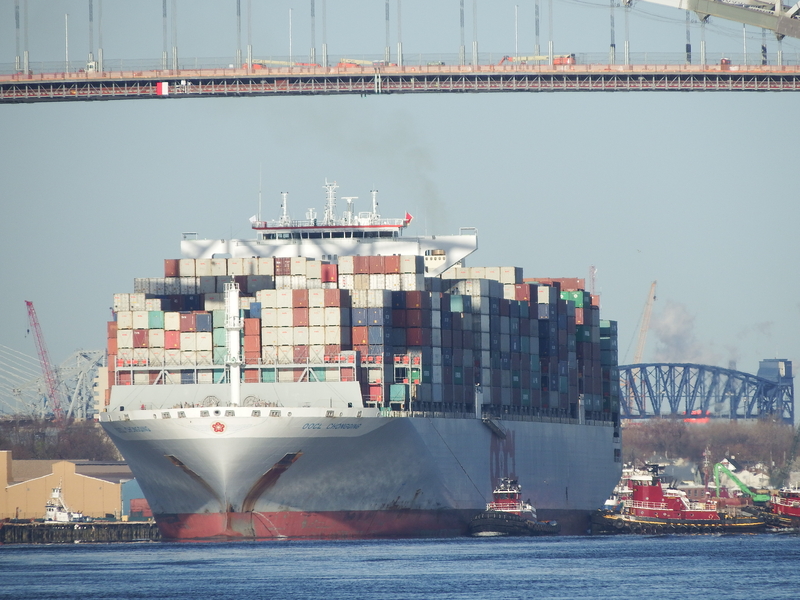 Ten years ago, it would take two ships to move this number of containers. 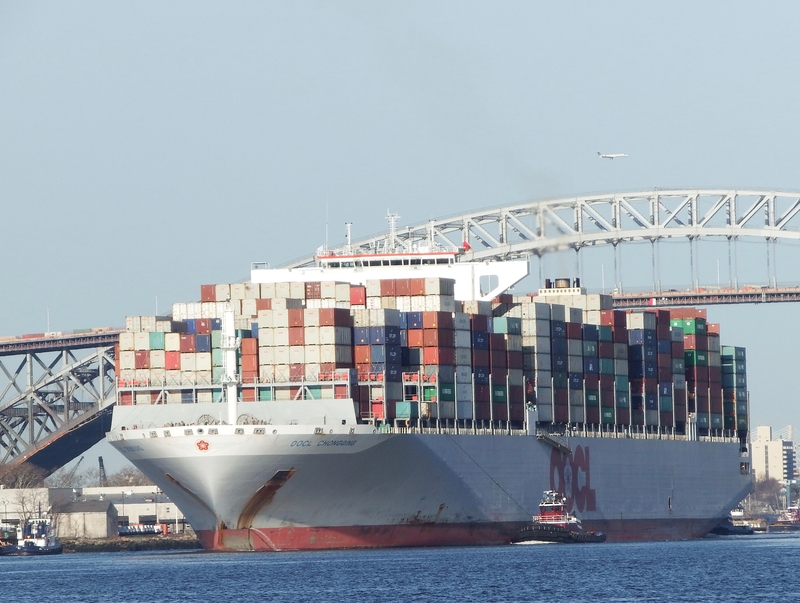 It’s hard to keep up with new ULCS entering service. 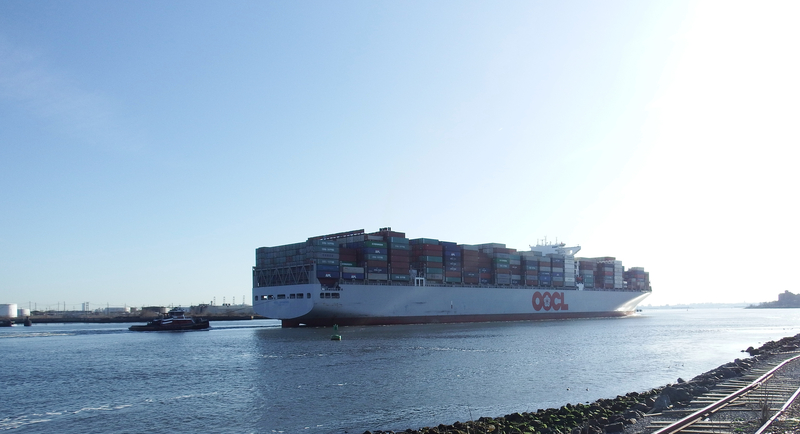 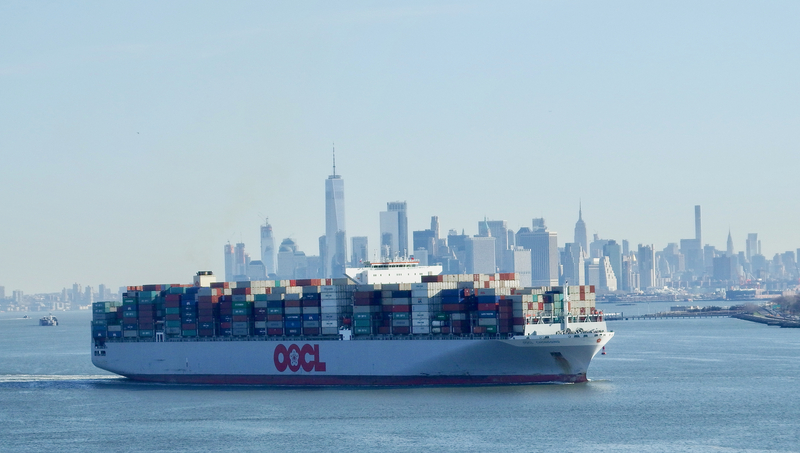 OOCL Chongqing is rated at 13,208 teus; the newest vessels are already up to 21,000! 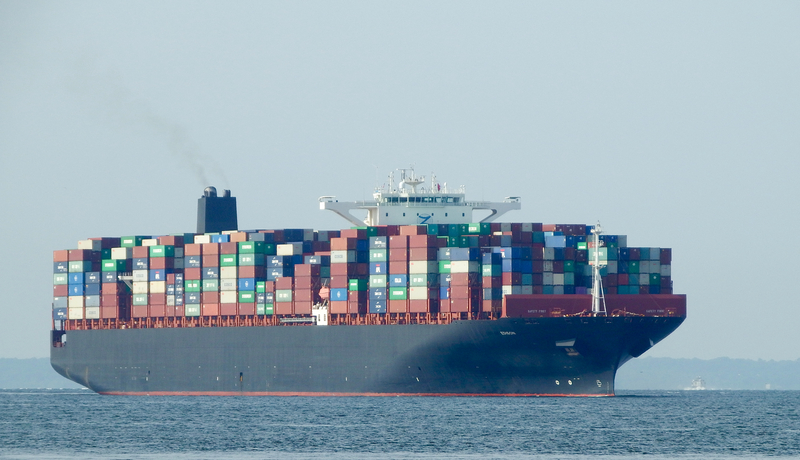 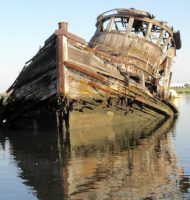 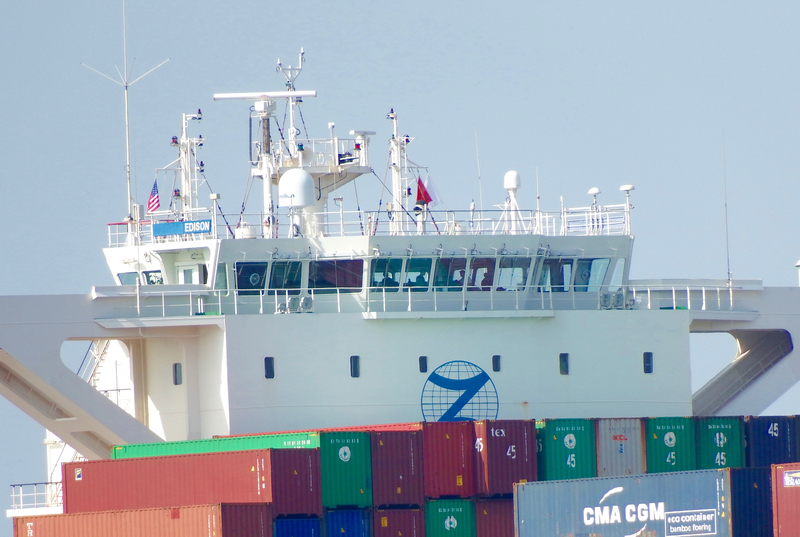 She recently departed Charleston and is headed for Suez and back to Asia through the Indian Ocean.